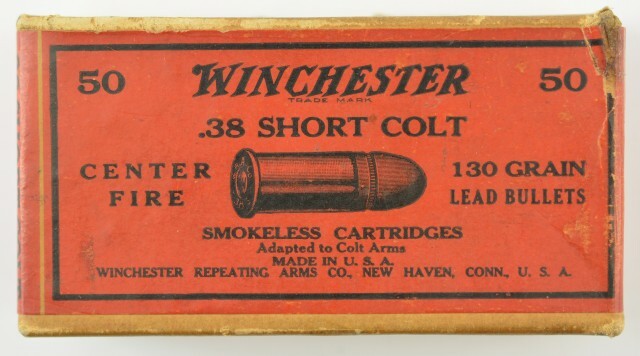 Description: 2 piece Winchester in 38 short colt. 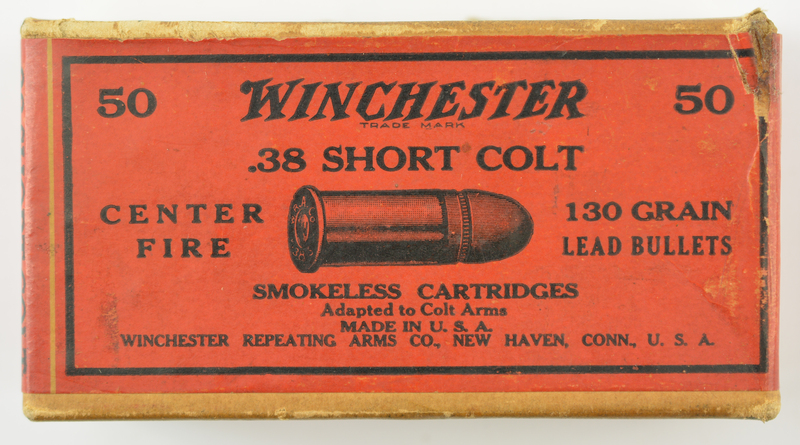 All original cartridges to the box. 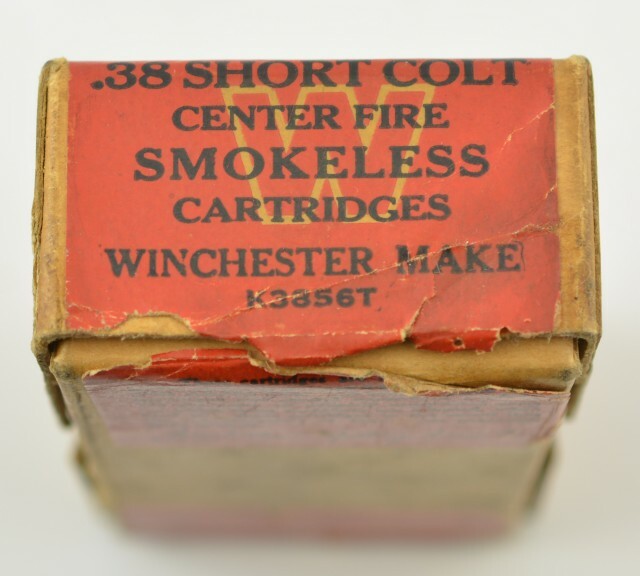 Head stamped W.R.A. 38 S. sound labels. The bottom label is date coded 309-7-20. 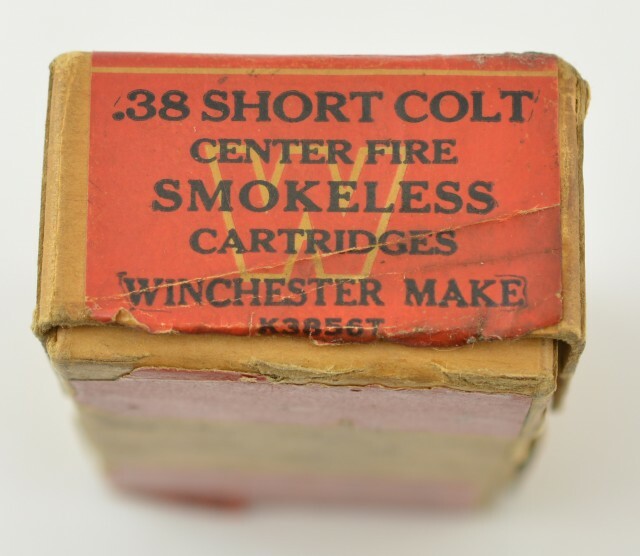 Clear bullet graphics0overall sound box of 38 short colt.